Since this is a anything related post, here goes. During the week last week for one day they tested the everything bagel at my local SB. My husband tried it and said it was very good. Today, he wanted it but the ASM said it was just tested for that one day and they will no longer be getting it. Very strange! How can it be tested for only one day and how can SB determine if it is suitable for this market based on only one day? @Purple1 – That doesn’t sound like a ‘test’ but more so maybe a day of ‘sampling’ it to try it out. There had to have been other research done on it before it got to a national launch! I realize I should have made the newest card thread an open thread too! This one did get a ton of conversation around the hand held ordering machine. How lucky he got to try it! I’m curious. But I know I will miss the Chonga bagel. @Purple, @Melody – We got the Everything Bagels yesterday, too, but I guess we got a different message because we used them as partner samples so that we could describe them to customers. We also got TONS of samples of the new cream cheese – 50% larger and available in regular or reduced fat. As for the bagel, it was alright. Truthfully, I think I’m spoiled for bagels by where I live. We get GREAT bagels here. I agree Kitenarie that the bagels are great around here and that the bagels at SB are not the same for sure, however, my husband said the everything bagel was good. New cream cheese? Have not seen it around here yet. My favorite Starbucks got samples of the Everything Bagel and new cream cheese. However the new store manager is blindly by the book and would not allow any of us customers a sample. One of the long time Partners is a real Chonga Bagel fan and knows I am too. He said I would probably be pleased with the Everything as it has a great flavor profile. I have been considering all of the comments on the hand-held ordering device. I have started many comments, but they grow too long. I am going to try to be short. 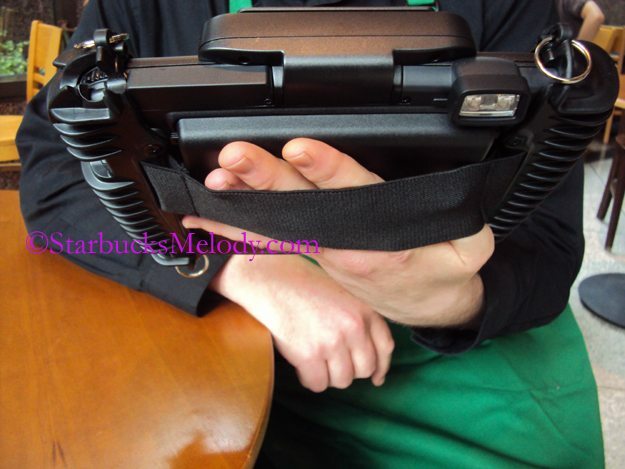 There are a few facts about using a hand-held ordering device that Starbucks may not be considering as they are blinded by technology. It will not decrease manpower, in fact it will require a dedicated person just to operate the device. And this person will have to be knowledgeable and diplomatic. Since payment methods at the unit will be limited, this will lead to confusion and delay at the register. If not done correctly this will bring the impersonality of the drive-thru to the lobby. This is just another case of Howard ignoring that he is getting away from the basics that made Starbucks. Truthfully, I think I’m spoiled for bagels by where I live. I agree Kitenarie that the bagels are great around here and that the bagels at SB are not the same for sure, however, my husband said the everything bagel was good.